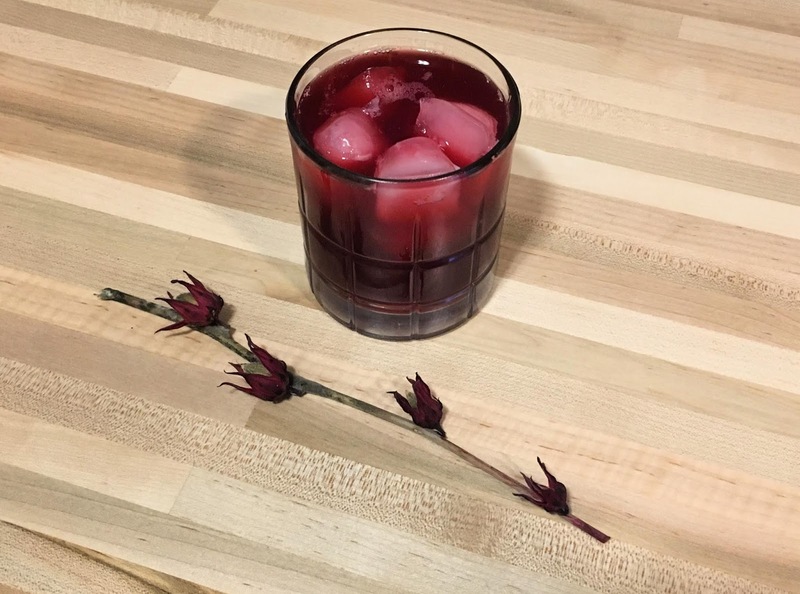 I stopped drinking almost two weeks ago, and I've discovered a refreshing alternative to wine: iced hibiscus tea. I've been drinking at least one to two tall glasses a day, and I absolutely love it. Hibiscus tea has many health benefits, too! Ayurveda Palms posted a few of these amazing health benefits on their blog: "The health benefits of hibiscus tea include relief from high blood pressure and high cholesterol, as well as digestive, immune system, and inflammatory problems. It helps to cure liver disease and reduces the risk of cancer. It can also speed up the metabolism and help in healthy, gradual weight loss. Hibiscus tea is rich in vitamin C, minerals and various antioxidants, while also helping in the treatment of hypertension and anxiety." I was hesitant to mix in sugar at first, but without it, the flavor of the hibiscus would be too bitter. I use organic cane sugar with tagless Earl Grey tea bags, although any black tea would do (I bet Assam tea would be a nice choice). I buy dried hibiscus flowers from the bulk bins. They are super cheap--you can get enough for ten quarts for a few dollars. It takes a few minutes to make, and you have a few days worth. I have been loving it so much, I've started making double batches. I take it to work in a thermos and drink it throughout my nursing shift. And by the way, it's delicious hot, too. Try it out--it's refreshing, healthy, and a festive alternative to wine this holiday season. Rombauer, I. V., Becker, M. R., & Becker, E. (2001). Joy of cooking. New York: Scribner.